Business Sutra |7.1| Nature is destroyed when culture is created – The world is too small? or Is it? 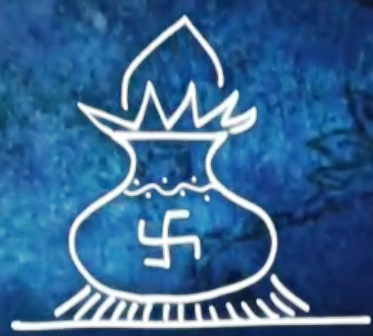 We have covered five episodes of Devdutt Pattanaik’ TV serial on CNBC 18: Business Sutra. The 1st episode presented to us the most visible form of the business – the corporation: its meaning, its purpose and its action perspective. In the 2nd episode Devdutt Pattanaik discusses Leadership: Role of the leader, Context of the leader and Leadership in different business cycles. The 3rd episode relates to the Business Ethics and Morals: business ethics and dilemmas, relationship between owner and the organization and The Right (Dharma) – the Ramayana way and the Mahabharata way. The 4th episode deals with Conflicts, of the Board and the CEO and that of the means vs. ends. The 5th episode takes unto the realm of Education, wherein Part 1 covered the basics of education to the (potential) leaders in Ram’s Education, Part 2 addressed the Knowledge Transfer to Next Gen and Part 3 dealt with the issue of student motivation. The 6th episode has taken up the oft-discussed topic of ‘measurement’, wherein in the Part 1, What Can Be Measured, dealt with the definitive need for not ‘only measurement’, but for ‘also measurement’ too and Part 2 dealt with mutual importance and dependence of Objectives versus Subjective Reality, whereas Part 3 evaluates ‘What is Your Worth?’ from these measurements perspectives . The 7th episode takes up the relationship of advances in the business and its impact on Environment. We all have been hearing about the environmental cost of industrialization and growth. There are demands for better regulations and more safety measures to prevent events like the BP oil spill or incursion of brackish sea waters into the fertile Naramda delta. But no one is talking about curbing demands. Demands for more resources indicate growth. But it comes at a price – the destruction of the environment. And with the destruction of the environment, human society comes closer to its own destruction as we depend on environment for our survival. Any talk of being content with what one has is mocked as being ‘spiritual’ and not ‘practical’. Scriptures have warned us about this always. But modern management never bothered to check the wisdom therein. Human Being came into the conflict with nature for the sheer survival. What began as a duel of survival gradually turned into an undeclared war on the nature. 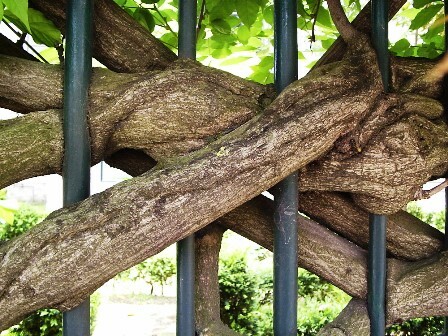 Nature also started reacting more and more assertively. By the turn of 20th century this full-scale war had turned into an one-sided, probably still half-hearted, half-proactive or even more reactive armistice that would expectedly lead to sustainable development. I have randomly picked up two representative articles and a TED video presentation to manifest the current western thinking on the subject. Nature vs. culture or cultured nature? – K. Jan Oosthoek – The question is not whether untouched nature is good and anthropocentric influence on natural systems is less desirable. The question is whether we would like to protect nature for the sake of nature or for the benefit of ourselves and other species. It is a question of grades of human interference and impact not one of untouched nature. Perspective on: Nature vs. culture in environmental change – Emmanuel Kreike, an associated faculty member of the Princeton Environmental Institute, focuses on the intersection of war, violence and population movements and their impact on the environment and society. He is particularly interested in how 19th- and 20th-century wars and ensuing forced migration led to the destruction of human-shaped landscapes and how people rebuild lives and livelihoods in often alien environments after the conflicts ended. The battle between nature and nurture | TEDxNTU – People like easy answers: this *or* that, on *or* off, left *or* right. But for Irene Gallego Romero, the wonder of biology has always been that it refuses to be so simple, and never is that truer than in the conflict between nature and nurture. There are no easy answers here — but there are amazing stories. So, at this stage, we would leave the choice of what to read when on that subject to the reader… and move on to Segment 1 of the episode 7 wherein Devdutt Pattanaik takes up the subject of Nature is destroyed when culture is created. It marked civilization’s earliest attempt at manufacturing and first example of property. The clay pot also signifies man’s contract with the environment in that all human creation is based on the destruction of nature. 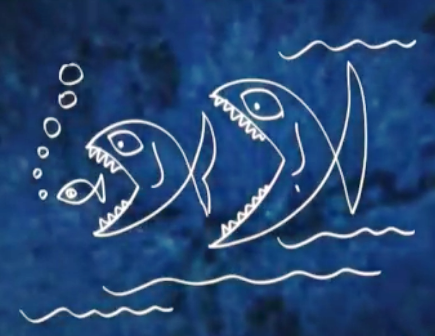 The most interesting story in the Vishnu Purana, in fact the first story of the Vishnu Purana, is about how organizations are created and why organizations grow. 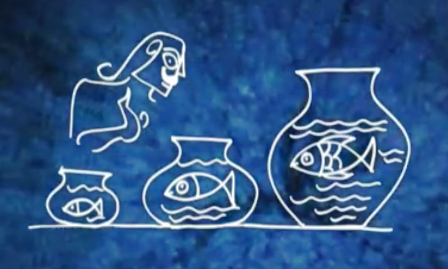 It begins with the story of a fish. Vishnu takes many avatars, different forms in different incarnations. The first incarnation is of a fish. It is always interesting as to why was it a fish, why was it not a tadpole or why was it not a butterfly. Then you think of the word Matsa Nyaya – the law of the fishes – which is basically jungle law, the might is right. The story begins with this little tiny fish approaching Manu, Manu being the ancestor of mankind, Manava (The Human Being). 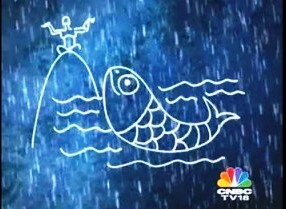 She asks Manu to save her from the big fish. Now in nature, nobody will save a small fish from the big fish. That is the natural law. The predator and the prey have a relationship. But when humans appear on the scene, we will say that we will not submit to the law of nature, we will help the helpless, we will create a world where a meek has rights. We basically call it culture. That is exactly what Manu does when he picks up the small fish in palm of his hand and takes him out of the sea, thereby basically disrupting the nature. He takes her and puts her in a pot and says you will be safe here. So either way the pot represents the organization where the fish has been placed and here it is safe now. So there is a separation between the water in the sea, which is nature, and water in the pot which is culture. Culture demands utilization of resources. The water, the fish, the earth, the pot, the clay has not come from a vacuum. They have come from nature. The fish increases in size. It grows bigger, which means it needs more water, it needs a bigger pot and so a larger pot has to be designed. So Manu builds a larger pot for the fish, ..
…shifts him from the small part to the big pot. That is growth. That is where organizations grow and as organizations grow they will demand more of the natural resources. It is just natural this is the weight is going to be and so the fish continues to grow and grow and as organizations continue to grow and grow and demanding more and more from nature. I get that, but is it also not implicit in our scriptures, and this is something that we learn instinctively, that all creation is accompanied with destruction. I mean if we were to believe the broad theory that everything in the world is just energy and it is all about the transfer of energy from one form of matter to another form of matter. Isn’t it? Let us look at the image of Durga. Let us go to Durga pandal in Calcutta during Durga Puja Dussehra. 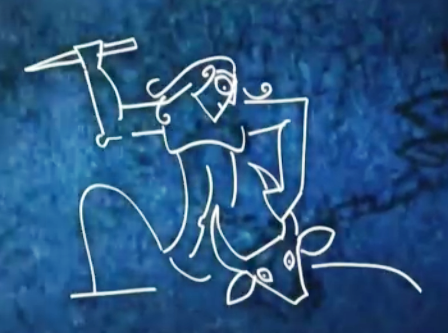 Here what you see is an image of a mother goddess, she is slaughtering a buffalo. Our very simple answer is that Buffalo is bad god and it is good killing the bad. But it also means that in order to feed her children, she is taking life. She is taking life out of something to plant life into others, so that life feeds on a life. So in a way the mother goddess is saying in order to feed my children something has to die. So the forest has to be destroyed so that the field can be created, the river has to be destroyed so that the canals can be created; the mountain has to be destroyed so that minerals can be created. That is the mother goddess in a very violent form, with blood flowing around. That is the idea of sacrifice – a reminder that for everything that you have created in society, something has died. So ask yourself: why are you creating what you’re creating while creating organization? Why do you want to grow? Because every time you create an organization or you create growth you are going to consume from the nature. Is it worth it? If not, do not do it. But if you still need to, be aware that something will always die. Is the sanction also implicit? I mean are the scriptures or the mythology implicitly giving you the sanction to destroy nature so as to be able to build culture? The mythology as I have said repeatedly it’s not prescriptive, it is reflective, which means it tells you what you are doing it in the form of a narrative. For example, in Mahabharat, Yudhisthira tells Krishna that I want to build a city. This is after he wins the war. No, in fact the story so happens that Yudhisthira goes to his uncle and says that I want my share of the property, because there’s a lot of conflict between the two cousins, so let us just divide the property. The uncle gives him the forest, The Khandav Forest, with all kinds of grass and says take this. Now Yudhisthira say I would have built a city in the forest, so he talks to his friend Krishna. Krishna says burn the forest. Think about it this – we are given the forest the first thing, then I have been told to burn the forest and what will happen when you burn the forest, all the animals the birds you are killing, the ecosystem is destroyed. Krishna says if you don’t destroy the forest how will you create the field, how will you feed your people. So, in effect, the story tells is that the king who wants a kingdom must take responsibility. In order to build his kingdom, in order to feed his people he is going to destroy an ecosystem. The story continues. We are told that the serpents inhabited in that forest. 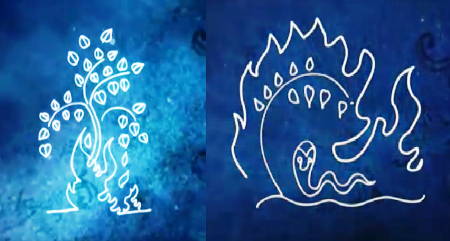 So when the forest is set to aflame, the animals are killed, including the serpents. A couple of serpents escaped. They are there is an eternal the feud between the Pandavas’ children, the grandchildren great-grandchildren on one side and the serpents on the other side. 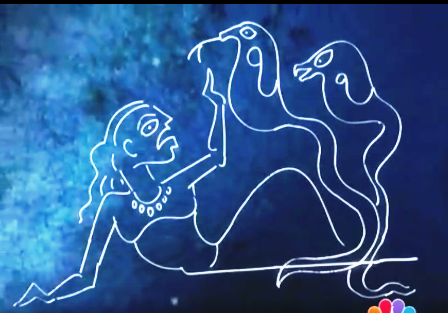 In fact the Mahabharat story begins with this great sacrifice where a descendant of the Pandavas wants to kill the Serpent because the serpents are killing his relatives and he thinks that the Serpent’s are the villains. Then the storyteller comes in and says, wait a minute before you declare the Serpents as villains. Please know what your ancestors did it to the serpents, how their kingdom was destroyed by this fire in order to establish the city of Indraprastha. So implicit in the narrative is how conflicts are created, because in order to build your organization you’re going to destroy nature. When you destroy nature you destroy an ecosystem. That means you are taking away the livelihood of others. There will always be conflict between those who have been stripped of and the organization who gets it. So conflict is implicit in the culture. The episode quite emphatically states that nature and culture work in opposite directions. It also accepts that culture (organization) does to have to exist and expand as well. That will come with a cost, too. And that is the responsibility that the mankind has to fully appreciate, accept and pay for these costs, and accept and pay them in totality. In our continuing journey of Devdutt Pattanaik’s TV serial Business Sutra, we will move on to the 2nd segment – Eventually Nature will prevail – of the 7th episode – The Environment, in our next episode.